M3rNi3: Extra! Extra! Read all about it! My younger angel made news two days ago, when she was locked in the babysitter's bedroom. Not that the babysitter do not have the key to the bedroom to unlock it but the door was in fact not in a working order. Auni wailed at the top of her lungs to be let out of the room. She cried and pleaded "Cik open, Dada open, Nenek open, Tok open, Mama open, Papa open." She called out all the names that she remembered/knew. Frantic and panic stricken, the babysitter and her daughter too cried. She then called her neighbour who then called the SCDF for help. While waiting for help to arrive, the babysitter talked and consoled my poor baby. Soon, help came .. from the fire brigade to the ambulance and the police. The SCDF officers tried to push the door open, it did open but it shut back. The had no choice but to break the door open. The SCDF then tried consoling Auni, "Adik, sabar eh .. abang bukak pintu, k". 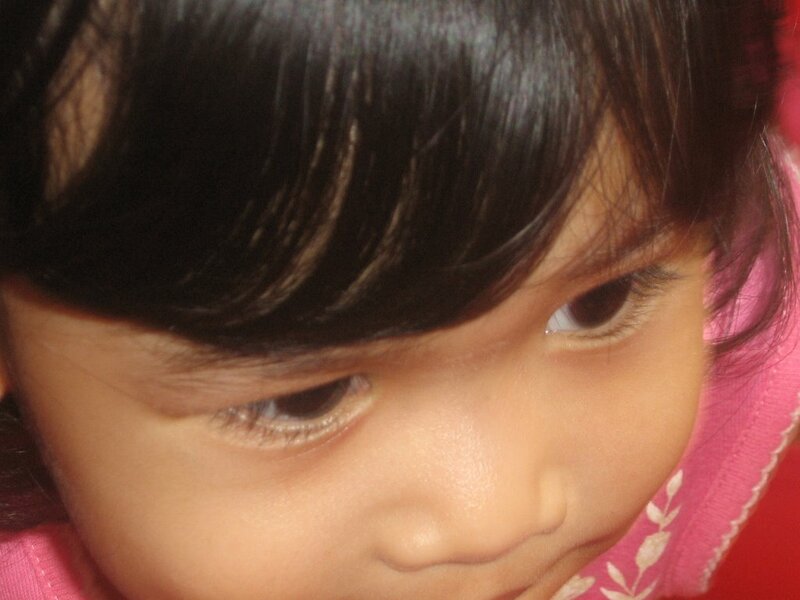 The babysitter informed that Auni might not understand as she is only 1 and a half year old. Finally they managed to free Auni. They found her sitting and crying and in her hands was a Muqaddam .. Phew ..
She was then checked by the medic who said that she's well and the police also took statements from the babysitter.